What was the first horror movie you ever owned? In my case it was a brand new, mint condition copy of A Nightmare on Elm Street Part 2, in a large VHS rental box that had been purchased by my parents from a mail order company. 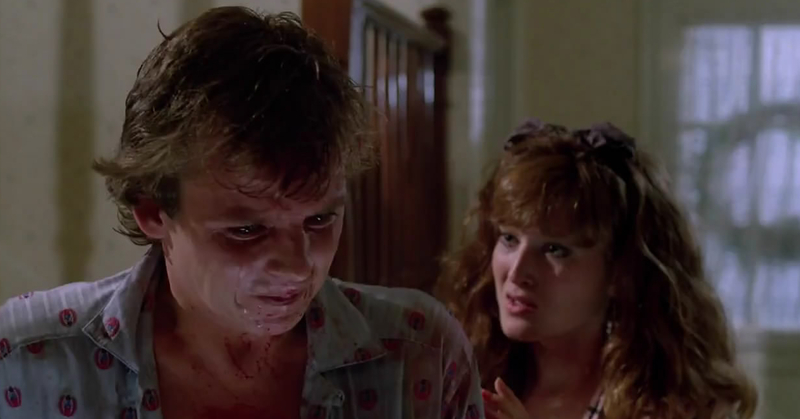 If memory serves it was Christmas 1986, I was 11 years old and my love of horror had reached the point of no return. At that age I remember finding the original Elm Street almost too frightening and dark. Friday The 13th movies were my preference but Freddy as a character became a bit of an obsession due to the emergence of cool merchandise like board games and plastic gloves. I basically liked the character more than the movie, so when I saw the UK poster art for Freddy’s Revenge, that featured him front and centre and didn’t try to hide him in shadows I just got even more excited. An order was placed, and on December 25th that year I unwrapped my very own copy. As I said above, my young self foolishly didn’t think much of the original and I believe I had only watched it once with my father so I went into Part 2 without any expectations … I just wanted to see Freddy being scary and looking cool. The opening scene on the school bus got things off to a perfect start and by the time it was finished I was thrilled. I must have watched that tape 30-40 times in the years that followed. 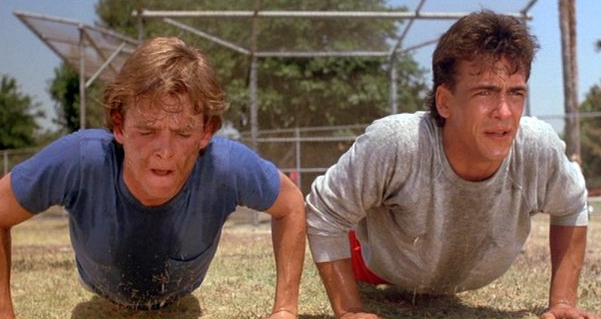 I’ve always believed that what makes Part 2 a special movie is the strength of the main characters … they aren’t written in a predictable way and I remember being impressed by that even as a kid. Jesse and Ron could have easily had a typical ‘Jock V Nerd’ confrontational relationship but it’s far more layered than that. 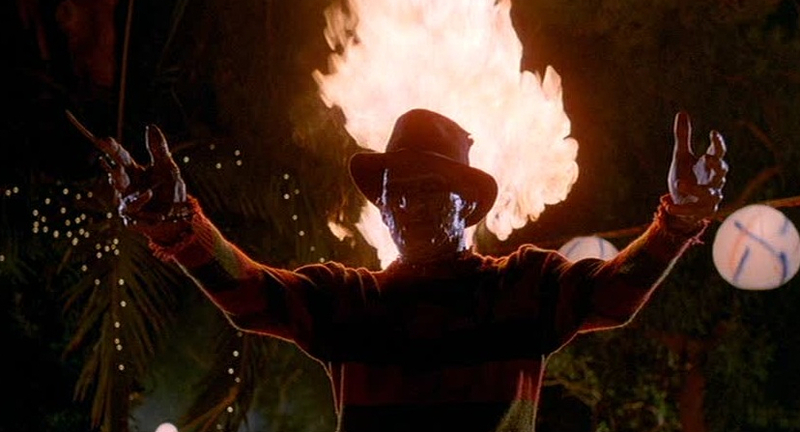 Yes, liberties were taken regarding Freddy and his abilities but DAMN, he was frightening in this film. 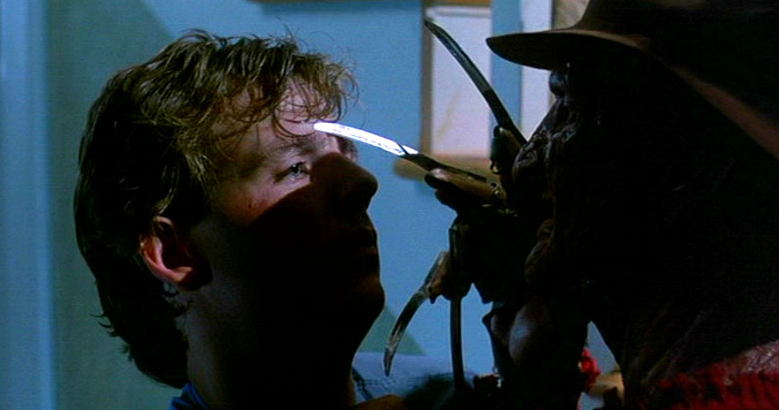 He really messes with Jesse and to have a genuinely terrifying Krueger is something that we quickly lost in the movies that followed. Halloween Love: First of all can you tell me what age you were when you developed an interest in acting, and did you have a supportive environment around you to help that ambition grow? HL: So much has been said recently about Freddy’s Revenge and the gay content, what are your thoughts on everything now? HL: Were you nervous about this? HL: I’ve always thought the friendship between Jesse and Ron is one of the most watchable and interesting that I’ve seen in a horror movie, was it a rewarding part of the movie to work on? 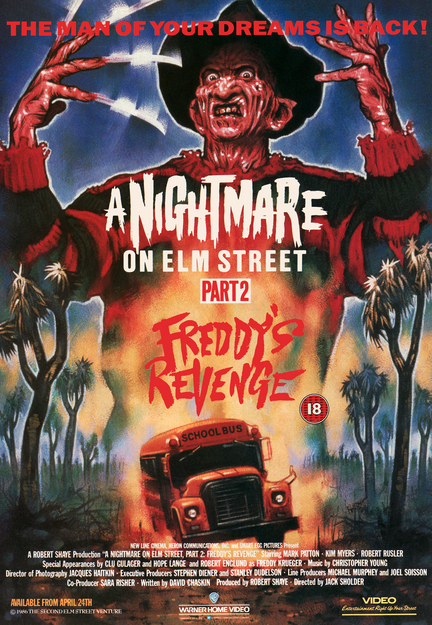 HL: When you watched Freddy’s Revenge in a complete form for the first time how did you feel about the end result, and how do you feel looking back at it now? HL: Can you tell me about your experience filming for ‘Never Sleep Again‘ … It sounds like it opened up a new chapter in your life. HL: Finally, if a young gay actor contacted you and told you they were nervous about stepping into the potential spotlight a career like this can bring what would be the main advice you would impart on them? On behalf of myself and everyone here at Halloween Love I want to say thank you to Mark for taking some time to be involved. For ALL his latest news, event appearances and much more just head over to his official site, or give him a follow on facebook.